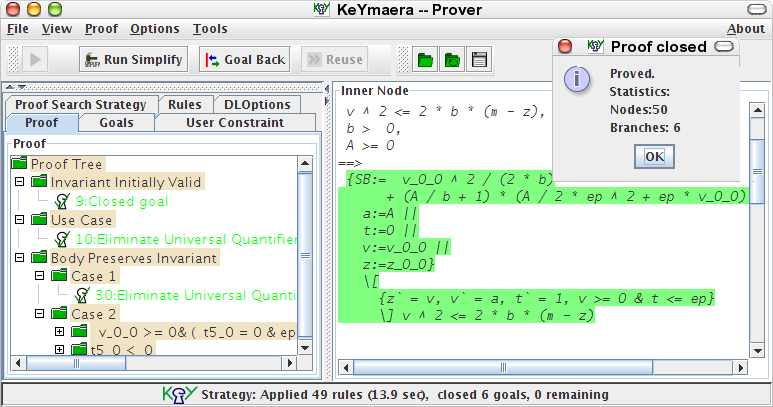 KeYmaera is a hybrid verification tool for hybrid systems that combines deductive, real algebraic, and computer algebraic prover technologies. It is an automated and interactive theorem prover for a natural specification and verification logic for hybrid systems. KeYmaera supports differential dynamic logic (dL) [4,6,27], which is a first-order dynamic logic for hybrid programs [4,6,27], a program notation for hybrid systems. KeYmaera also supports hybrid systems with nonlinear discrete jumps, nonlinear differential equations, differential-algebraic equations, differential inequalities, and systems with nondeterministic discrete or continuous input. For automation, KeYmaera implements a free-variable sequent calculus and automatic proof strategies that decompose the hybrid system specification symbolically. 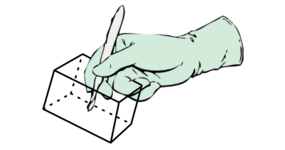 This compositional verification principle helps scaling up verification, because KeYmaera verifies a big system by verifying properties of subsystems. To overcome the complexity of real arithmetic, we integrate real quantifier elimination following an iterative background closure strategy [5,14]. The KeYmaera verification tool is particularly suitable for verifying parametric hybrid systems and has been used successfully for verifying case studies from train control [17,19], car control [22,24], and air traffic control [16,19,48]. . The KeYmaera verification tool provides significant automation (up to 100% depending on the problem). 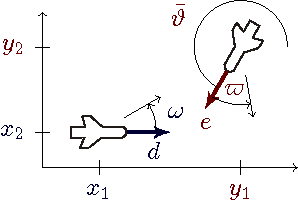 It handles differential equations and integrates full first-order real arithmetic. KeYmaera also implements differential invariants . KeYmaera implements procedures for automatically generating invariants and differential invariants [10,13,33], but allows you to specify invariants interactively or by @invariant annotations whenever your case study is too complex for KeYmaera's current automation. The graphical user interface of KeYmaera can be used to navigate and manipulate the proofs discovered by KeYmaera or find more efficient proofs. Details about the KeYmaera verification approach can be found in the corresponding book  and several other publications. The tutorial on How to Model and Prove Hybrid Systems with KeYmaera  can be a helpful starting point on how to use KeYmaera. The KeYmaera verification tool has been used successfully for verification in railway , automotive [22,24,29], and aviation transportation systems [16,36,48], as well as autonomous robotics [38,34], surgical robotics , and electric circuits . KeYmaera has been used for automatic verification of collision freedom for the cooperation layer of the European Train Control System (ETCS) . It has been used systematically to synthesize the required safety constraints on the design parameters of fully parametric ETCS . KeYmaera has been used to verify collision freedom in roundabout aircraft collision avoidance maneuvers , including the flyable roundabout collision avoidance maneuver . These verification results show that the controllers of the aircraft models successfully prevent collisions. 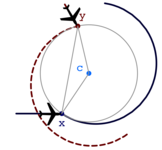 Extensions for provable collision freedom in flyable disc maneuvers for an arbitrary number of aircraft have been verified in KeYmaeraD . 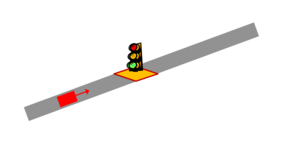 A whole range of automotive systems have been verified with KeYmaera, including collision freedom in adaptive cruise control for highway systems , safety of a CICAS-inspired intersection control system for cars , safe interactions of cars with traffic centers via variable speed limits, including moving incidents , and a model for CICAS-SLTA Signalized Left Turn Assist . The dynamic window approach for autonomous robotic ground vehicles has been verified in KeYmaera . 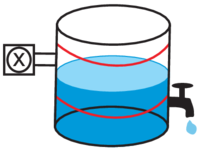 A few academic standard examples from the hybrid systems world have been verified with KeYmaera as well, including a fully parametric version of the bouncing ball  and the standard, non-parametric water tank. KeYmaera has been used to verify the RLC electric circuit , a model of a distributed elevator controller, medical surgical robotics applications for skull base surgery , and a robotic factory automation case study . KeYmaera has also been used for verification efforts of the Next-Generation Airborne Collision Avoidance System ACAS X . For more details on case studies, also see the subpages on this web page and the projects listed in KeYmaera's project wizard (the menu item File->Load Project in KeYmaera). A number of other case studies have been verified, for example in the CPS V&V Grand Prix 2014 and 2013. Tell us if you want to advertise your case study or KeYmaera verification example on this web page and in the KeYmaera project wizard. The architecture of the KeYmaera verification tool has a plug-in system for solvers and proof rules  and allows to adjust the automatic proof strategies by several options. Sphinx is a modeling tool that works with KeYmaera and provides textual and graphical modeling capabilities as well as model transformation and collaborative verification tools for KeYmaera. Sphinx is an extensible verification-driven engineering toolkit based on the Eclipse platform. It provides textual and graphical modeling editors to describe the structure, the discrete dynamics, and the continuous dynamics of cyber-physical systems. Sphinx uses KeYmaera as hybrid verification tool. In KeYmaera, verifying correct functioning of hybrid systems amounts to proving corresponding formulas in, what is called, differential dynamic logic dL [4,6]. These formulas state the desired correctness properties of the hybrid systems under consideration, including safety, liveness, reactivity, and controllability properties. For showing that these systems operate as expected, André Platzer has devised a logical verification calculus [4,6]. 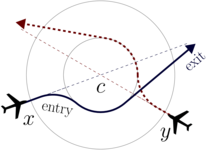 Advanced verification technology for differential dynamic logics is further based on differential invariants [7,10,13], which are formulas that remain true along the dynamics of the hybrid system and its differential equations. 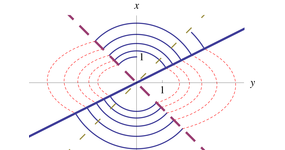 Differential invariants and differential induction are essentially a generalization of discrete induction to differential equations. This verification technology for differential dynamic logic and differential-algebraic dynamic logic has been implemented in the KeYmaera theorem prover for hybrid systems. KeYmaera implements the verification calculi for the logics described in [4,6,3,7,34] and also part of [20,31]. The verification algorithms implemented in KeYmaera are described in the papers [5,14,13,33] and, a little bit also in the KeYmaera tool paper . The successor KeYmaera X is a complete clean-slate implementation of a theorem prover for hybrid systems, featuring a minimal core of just 1700 lines of code that isolates all soundness-critical reasoning. Except possibly when you are relying on any of these particular advanced aspects of KeYmaera, you will really enjoy the novel programming features of KeYmaera X. While the old KeYmaera provides a small number of built-in automatic proof strategies to choose from, the new KeYmaera X provides a way of easily defining custom proof automation tactics, lemmas, it visually retains the sequent proofs, and provides a web-based user interface that even records tactics for you. KeYmaera X can also run out of the box without the need to install additional tools. Correctness arguments also benefit from the gigantic reduction in the soundness-critical core from the 65,989 lines of KeYmaera to the 1,700 lines of KeYmaera X, which is a significant reduction down to 2.5%. 104 rules for handling first-order real arithmetic and propositional logic, with various optimizations and user shortcut rules. Note that, in theory, KeYmaera would only need a dozen axioms and proof rules . KeYmaera nevertheless provides many more in order to make the reasoning more efficient and provide you with ways to handle common special cases easily. By comparison, the successor KeYmaera X only has a soundness-critical core of only about 1700 LOC. While KeYmaera 3 still provides a few features that are unique to KeYmaera 3, its successor KeYmaera X has matured to a significantly more solid tool and is actively developed and maintained [comparison]. 01/31/2013: Substantially improved support for implicit differential equations, which now no longer have to be written as differential-algebraic equations , but can remain implicit differential equations. 15/01/2012: Add new feature for improved counterexample transition finding contributed by Jingyi Ni. Be sure to checkout File->Load Project and then Load Proof for advanced proofs. 07/03/2011: Tell us if you want to include your KeYmaera case study. 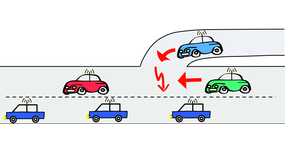 03/20/2011: New publication about verification of car control . 12/21/2010: New publication introducing quantified differential invariants  for distributed hybrid systems. 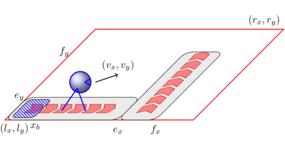 05/28/2010: New publication introducing quantified differential dynamic logic (QdL) , which is the first formal verification approach for (dynamic/reconfigurable) distributed hybrid systems. 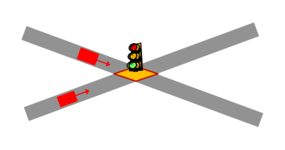 02/01/2010: An article introducing and developing the theory of differential invariants for verification in KeYmaera has appeared in print in Journal of Logic and Computation , as previously appeared in Advance Access on 12/18/2008. 01/30/2008: KeYmaera now supports proof @annotations. 11/19/2007: Improved and faster quantifier handling. 11/19/2007: Transition system views can be generated automatically, e.g., the ETCS transition system example. The name KeYmaera is a homophone to Chimaera (Χíμαιρα), the hybrid animal from ancient Greek mythology, which is a hybrid mixture of multiple animals [Homer, Iliad 6. 179-182]. 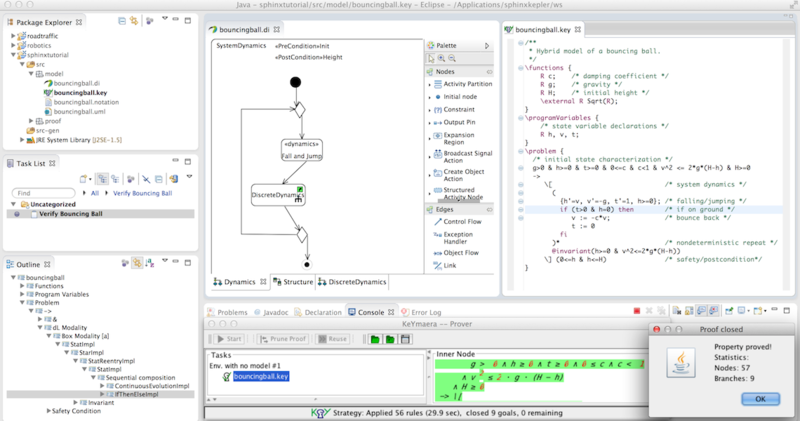 KeYmaera is a hybrid version of the KeY tool. KeYmaera also is a hybrid mixture of multiple proving technologies from logic or discrete and continuous mathematics and KeYmaera is intended for hybrid systems verification, which are systems evolving along mixed discrete and continuous transitions. The development code name for KeYmaera was HyKeY, because HyKeY stands to reason as a canonical name in line with hybrid systems model checkers like HyTech or HySAT. We decided to go for a fancy name instead, paying homage to KeYmaera's roots in a hybrid extension of KeY, to its purpose for hybrid systems verification, and to the hybrid nature of its algorithmic design combining aspects of theorem proving, computer algebra, decision procedures, and model checking. KeYmaera is a hybrid verification tool for hybrid systems that combines deductive, real algebraic, and computer algebraic prover technologies. It is an automated and interactive theorem prover for a natural specification and verification logic for hybrid systems. KeYmaera supports differential dynamic logic [4,6], which is a real-valued first-order dynamic logic for hybrid programs, a program notation for hybrid automata. For automating the verification process, KeYmaera implements a generalized free-variable sequent calculus and automatic proof strategies that decompose the hybrid system specification symbolically. To overcome the complexity of real arithmetic, we integrate real quantifier elimination following an iterative background closure strategy. Our tool is particularly suitable for verifying parametric hybrid systems and has been used successfully for verifying collision avoidance in case studies from train control and air traffic management. The canonical references on the KeYmaera approach are [6,7,27]. 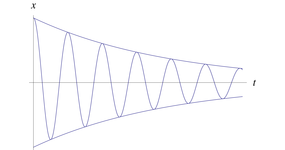 The proof theory is studied in detail in . The most comprehensive description of the KeYmaera appraoch can be found in the book , with further details also in subsequent papers. 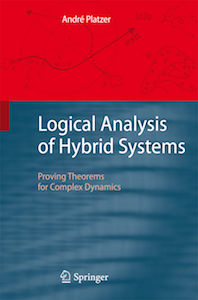 Also see publications on hybrid systems logic and the publication reading guide. Copyright of publications is with the publisher or author as indicated. Author's versions of papers are posted with permission of the publisher for your personal use. Not for redistribution or commercial purpose. Slides are copyright © by the author. All information and materials on this site are provided solely for informational purposes on an AS-IS basis, and any and all implied warranties are expressly disclaimed. More details on the differential dynamic logic (dL), on the hybrid program model for hybrid systems, and on the principles of logic for hybrid systems. For full details, please see more publications.